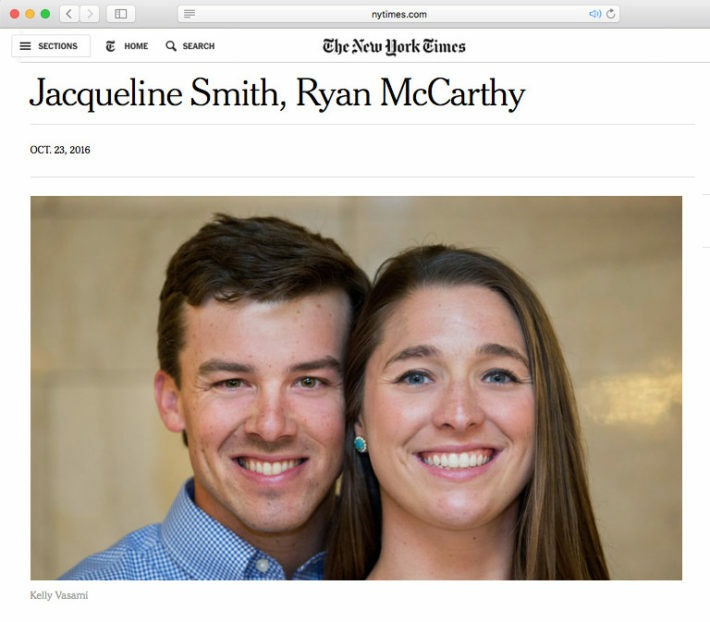 Kelly Vasami Photography Blog: Jackie & Ryan’s Wedding Announcement in The New York Times! I was so excited to see Jackie and Ryan’s wedding announcement (and the photo I took of them during their engagement session at Grand Central this summer!) 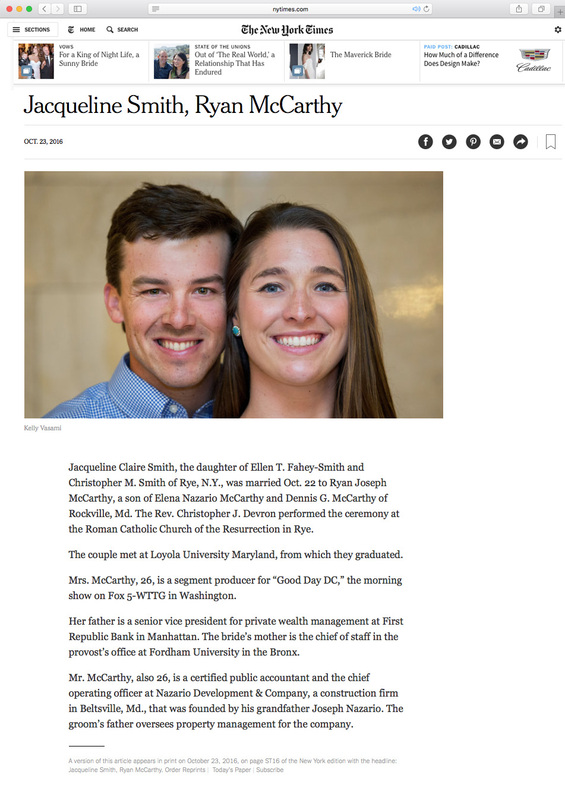 be published by the New York Times after their wedding recently!